If a pipe burst causes water to flood your property, you can reach out to the water damage Pleasant Garden tech at 911 Restoration of Greensboro and they will be at your doorstep, ready to get to work in no time. Our water damage Pleasant Garden experts are available 24/7/365 to assist you as soon after you discover the water issue. No matter what time of the day or night your water disaster occurs, we guarantee to arrive within 45 minutes of receiving your emergency call. Call our IICRC certified water damage Pleasant Garden professionals the moment you come across unwanted moisture in your household and we will provide you with a free home inspection as soon as we arrive. When pressure builds up in the plumbing system it can get to the point where the metal can no longer take it and they burst, causing the water that is flowing through the pipes to explode into the home. As common as pipe bursts are, the amount of damage they can cause in the home can be extraordinary. If this issue is not caught right away, like in the middle of the night or when you are away from home, then the water will just keep accumulating, creating a major flood. This can be especially damaging if the water is left to sit on the surface of your property for a long period of time, causing deterioration of the home itself, the ruining items inside and facilitating mold growth. We know exactly how to begin remediation procedures, so call our water damage Pleasant Garden team today and we will get to work pumping out water as soon as we arrive. If you have been gone for the weekend and come home to a flooded basement, we can only imagine how you would be feeling. This is why we make it a priority to always be there to help you emotionally, as well as with the reconstruction. Providing you with excellent, around the clock customer service is the best way for our water damage Pleasant Garden staff to make you feel secure when you are facing a flood mitigation job. We want to make it easy for you to ask us any questions you may have the moment you have them, because putting these concerns to bed quickly will help you feel more comfortable with the work being done on your home. It is important for us to always be on the same page as our customers and by keeping you informed every step of the way we hope to achieve that goal. 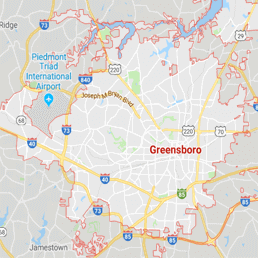 Call our water damage Pleasant Garden technicians at 911 Restoration of Greensboro today and we will show you just how dedicated we are to our customers.